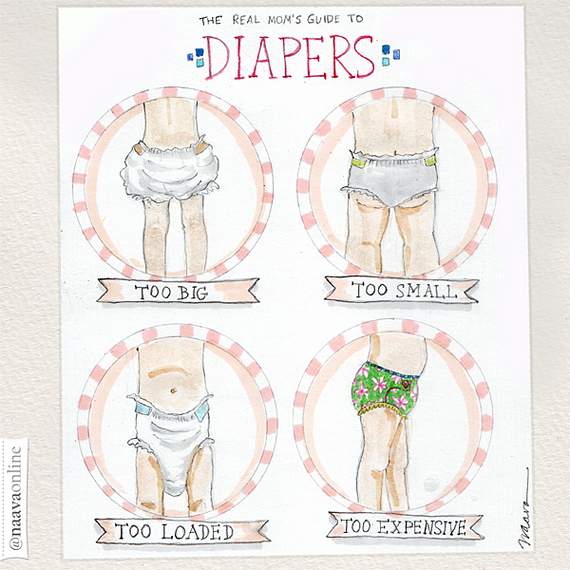 Naava Katz is a mother and artist whose illustrations capture the "beauty in the details" of life as a new parent. 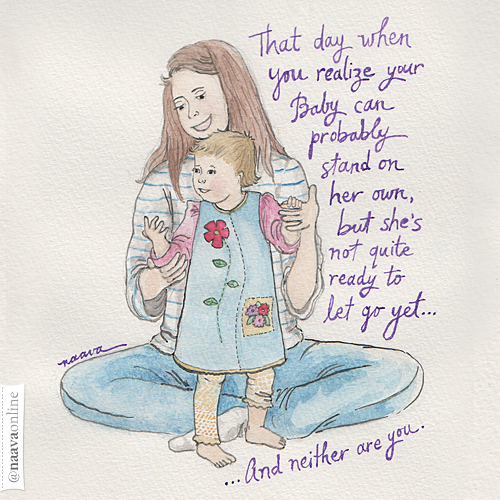 Though she's been drawing all her life, it wasn't until after she had her children that she discovered a new love for illustrating the journey of parenthood. 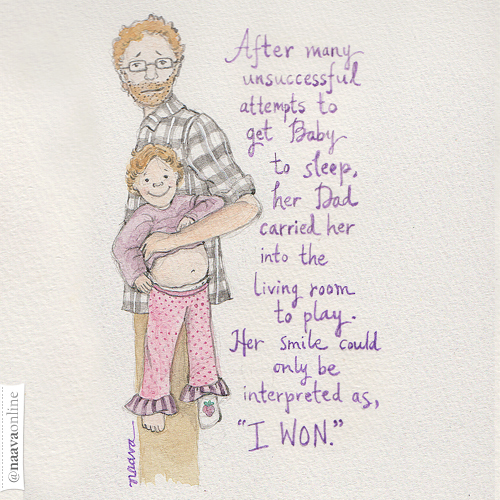 As new mothers, we are knee-deep in the field of finding that elusive "life balance." There are so many tiny details that made up our day. Piled on top of one another, it can feel overwhelming. Moment to moment, it seems mundane. But as we tuck our children into bed and reflect on all we accomplished, all those details blend together to form a melody. Years from now, we will all join the tribal cry of, "It went by so fast!" But through her drawings, Naava reminds us that these seemingly simple experiences are not moments to simply get through, but are indeed moments to savor and smile about. Naava's images tell stories that evoke the emotion and spirit of life with young children. Her art allows viewers to see past the chaos and focus on the beauty of family. Naava's illustrations remind us to take a breath, to laugh and to cherish. Our days are crazy, and tomorrow looks like it might be crazier. But under the moonlight, we offer a silent prayer of gratitude. And smile. Because it's all worth it. You can view more of Naava's art by following her on Instagram and Facebook. Create and collaborate with Naava by reaching out to her at www.NaavaOnline.com. This post originally appeared at www.staceysteinberg.com. Follow Stacey on Facebook and Twitter.